Am I Too Old To Be Working With An Executive Recruiter? Yes, we actually said the “O” word, point blank. It’s been illegal for decades for employers to discriminate based on age, but it’s widely acknowledged that employers have found ways not to hire candidates they felt were too old. To a rapidly decreasing degree, that will remain a factor in some companies, but there has been a dramatic shift in the employment market over the past decade, as the Baby Boomer generation has started reaching the age which traditionally signaled the time to retire. The Boomer generation is living longer and healthier lives than their parents did, which not only allows them to work later in life, but in many cases, requires it, since they have to fund more years of living expenses. Baby Boomers are also reaching “retirement age” with significantly more debt than ever before. About a quarter of Boomers are still making mortgage payments on their homes at age 65, and the percentage of those in debt of any kind at age 65 is rising. Generation X, which follows the Boomer generation, got a later start on building stable careers and financial security, thanks to a major recession at the time many of them were trying to begin their careers. Due to changes in Social Security, Gen X will need to work to age 72 in order to receive full benefits. They’re also the parents of young adults who have accrued staggering student loan debt, and in many cases, they’re co-signers for that debt. So Generation X, like their parents, are going to be working later in life. Business owners, executives, and managers are aging, too, and faced with the same issues as employees. Where it used to be fairly common for business owners to have a retirement party at age 62 or 65 and hand the keys to the business over to their children, those owners are now tending to hold on to the reins longer. In the age when most people retired at age 62, it was hard to find a job if you were over 55. 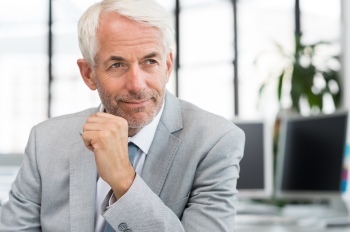 As owners and executives are older, on average, the business climate has shifted because the decision-makers have a first-hand appreciation for the fact that 55- to 60-year-olds aren’t ready to be put out to pasture. In fact, they are, in an increasing number of cases, sought after for their experience, perspective, and ability to mentor up-and-comers. The higher level your position, the more likely it is that a prospective employer will appreciate your value because of the knowledge, experience, and perspective you’ve gained over the course of your career. 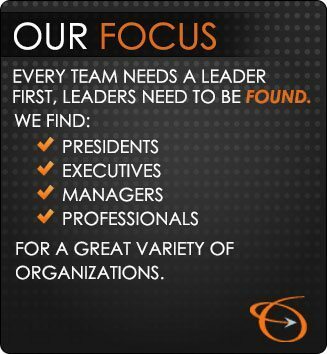 When you’re looking for that perfect-fit company and position that will understand the value you represent and compensate you appropriately for it, working with an experienced executive recruiter can significantly shorten your search time by introducing you to companies who are actively seeking seasoned executives like you. At The Lawler Group, we have built relationships with companies in Milwaukee and nationwide, and earned their respect over the course of 40 years of successful searches. Contact us to learn how our executive recruiters can help your search with active marketing and a deep contact network.